You may be looking to sell your home, make your home more comfortable to live in or maybe you’ve just bought a new home and you want to make it your own? Whichever category you fall into it’s important to think about adding value and longevity to your homes features. Just like a fresh haircut can do wonders for us, a fresh coat of paint can literally transform your home from shabby to chic. Make sure you prep the surface first, inspecting all surfaces for; chips, peeling and mould. Mould will need to be bleached off and dirt and grime sprayed off with a power hose. Seal any cracks and prime with a quality sealer. Select a quality brand of paint and choose a colour with curb appeal. 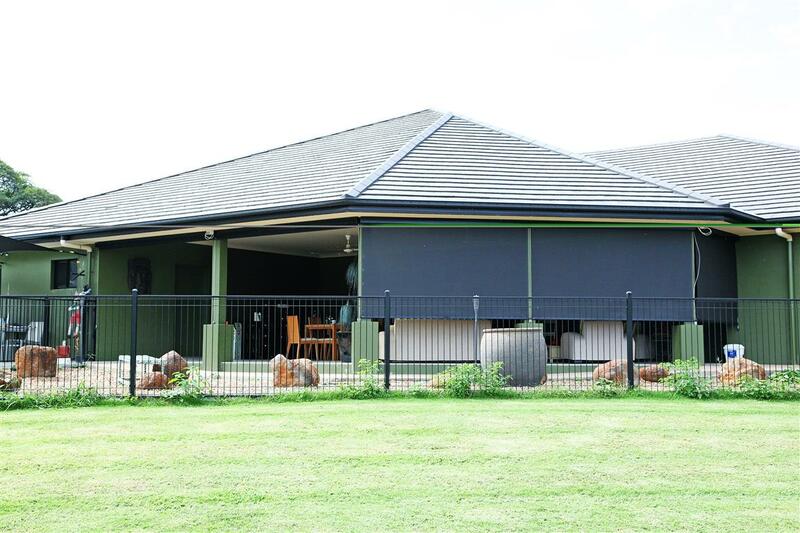 25% of a home’s heat and cool is lost through its windows, which is why outdoor blinds are a great addition to keep your home at a more regular temperature. 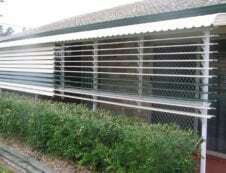 Outdoor blinds will keep your home more comfortable, blocking the harsh sun from penetrating the windows in summer. Easily maneuverable, they can be drawn to let in the light and cool breeze when you need it. A well-manicured lawn, pruned shrubs and a clean walk way, can make a huge difference to your homes curb appeal. Take time to pull up invasive weeds and vines and cut back overgrown trees and bushes. Cut a razor sharp edge to garden beds and feed up your grass with food and water. 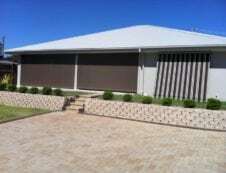 Add in a few colourful plants and of course sweep the driveway or pathway to give the illusion of space. It goes without saying that if your home looks like its falling apart, it’s not exactly going to appeal to a new buyer or if left unkempt for long could cost you more money in the long run. Points to look out for are; sagging gutters, missing bricks or roof tiles, cracks in the walls or windows and any leaking from walls or gutters. 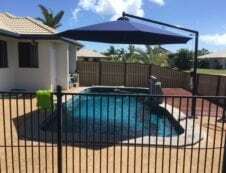 Shade sails are perfect to cover a pool or outdoor eating/barbeque area, allowing you to enjoy the outdoors protected from the sun’s harmful rays. You can even get unique umbrella shades that add that trendy and appealing aesthetic to your home. 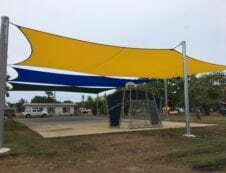 With homes getting smaller and smaller, shade sails also allow you to extend your living area outdoors, giving your home the feel of having more space.